Home / Advice / What Can Mobile phones Do To People? What Can Mobile phones Do To People? I am pretty sure mobile phones have benefited a lot of people (including me) and we can't deny that it is really helpful in many ways. 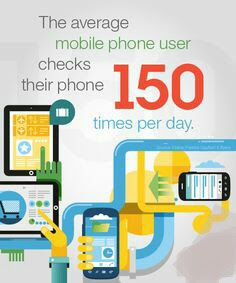 Using mobile phones in a good way is awesome! But when it starts using you in a bad way then there is a huge problem! 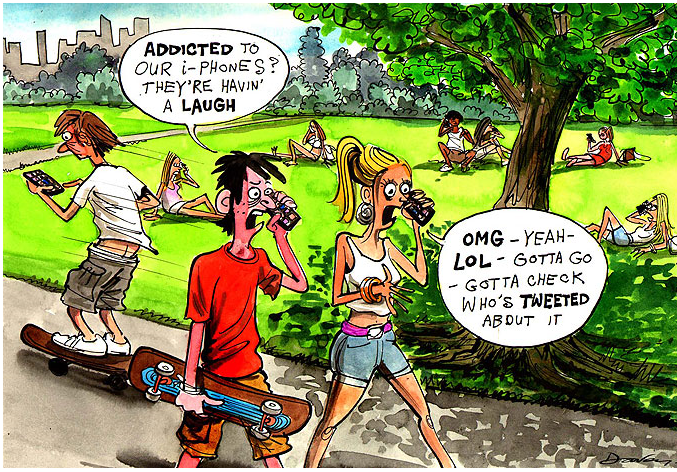 So what can mobile phones do to people? Recently, my brother came to visit us and it was a happy reunion. We had a little chit chat for a while before my Sister left us. We were alone with my nephews who looked occupied with the TV and needed little attention. So, my Bro and I preoccupied ourselves with our gadgets and we became lost to the physical world. We were so preoccupied no one noticed one of the boys was tearing the house apart with his screams! We each thought the other person would attend to him but no one seemed to move an inch or even shift his eyes from the gadget to look at the boy. We were like that for close to 3 minutes and I finally dropped mine to listen to the kid! After giving him what he wanted, I returned back to my previous position with my phone to continue what I was doing. I looked at my Bro and noticed he hasn't moved a bit even to stretch himself! He was still seated the same way with his eyes glued to his phone! 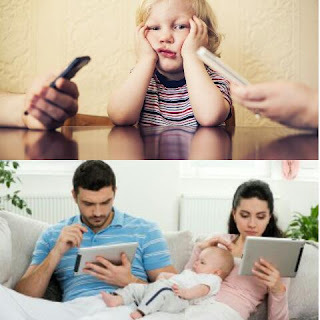 At this point, I decided to imagine what it will be like when two parents running a family are addicted to technology! 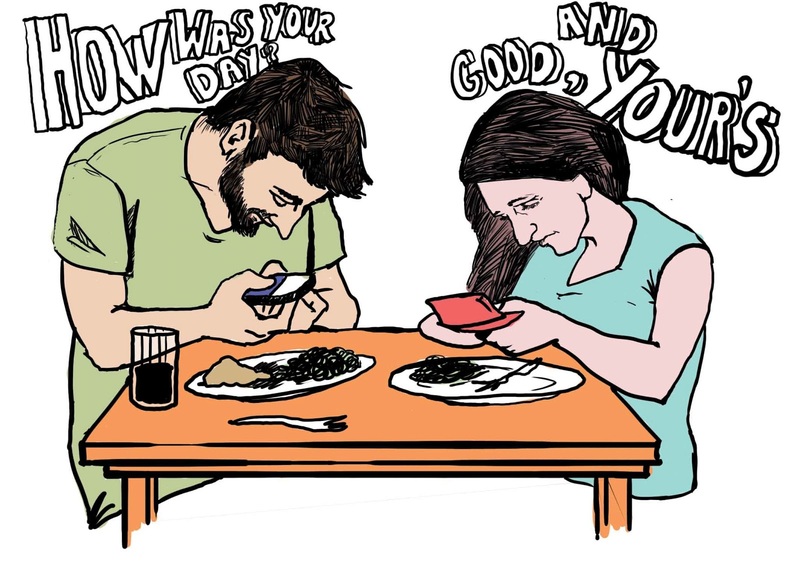 Or even when people neglect responsibilities because they are busy with their gadgets! My imagination wasn't pretty because I remembered different times my Sis had ignored a kid simply because she was on the phone (which could probably wait) or even replying a text! A lot of times, my friend had complained to me that her fiance doesn't give her the attention she needs! He is either on a social media or claiming to answer a 'business call'! And when she talks to him about it he simply says "we are in the 21st century! The computer age! So relax, its normal" And she would swallow the urge to hit him. But seriously, why would we allow ourselves be so addicted to mobile phones we don't even know when the physical world needs us? I know a lot of people who are on their phone 24hours a day, 7days a week, 365days a year! My neighbour even goes to the bathroom with her phone claiming that's when important people remember to call her! Another is nomophobic (fear of turning off your phone), she can't stand having her phone switched off! She could lose her mind! Until her phone is switched on, she won't listen to anything anyone is saying. You see her moving about with her charger (if there is no light) or stuck to a socket pressing her phone while charging it. 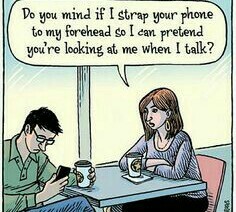 This craze surrounding mobile phone is now something else! 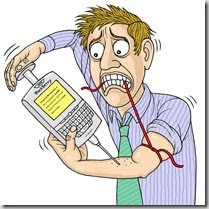 A lot of people have had problems because they are so engulfed in their mobile phones they no longer have contact with the real world! Someone lost her job simply because she was chatting while her boss was talking to her (apparently, she can't stay off social media). My friend only has 6 real friends! And the others are online friends! He can't even talk to a real person without getting them mad because he is so used to speaking chat language (eg lol, omg, wtf, ttyl, sup, xoxo etc) which can get on some people's nerves. He is so shy around real people, he can't go out alone even on a date without having someone to save his neck. He can give you the most interesting chat online but he has nothing to say when he meets you in person! He can be seated with you in the same room and keep on texting you expecting to have a conversation with you online when you are there with him! Most people are like that and its no longer funny! 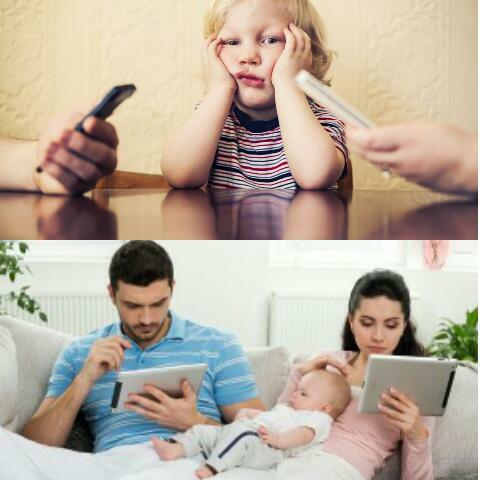 These are just little of what mobile phones do to people. I love my mobile phone (yeah I do) because it has made me get in touch with the world straight from my room (like am doing now) and taught me a lot of things I would take a long time to learn on my own. 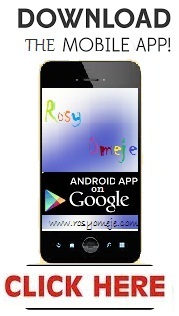 It has also made a lot of things easier and faster for me. But on the other hand, I have also learnt a lot of things and even known people I should have stayed away from. I have become so lazy I can even sit at home and order food online not wanting to go to the kitchen! I no longer do real shopping now! I just sit at home and make a few clicks and I get everything I want! Cool huh? But it shouldn't turn into an addiction! If I need a new shoe and I run online to place an order, then I notice I have run out of bathing soap and I do the same and maybe add a hair care product to the list! I may have saved myself the stress of going down to the supermarket or mall to get it. But when I keep placing order online whenever I need something I can stroll out to get; then I may end up making myself addicted to it and maybe lazy! And when these things go on a break it would likely become a disaster for me! To me I think our mobile phone is here only to make things easier and faster not to completely erase what's there before! And probably eat up the time we could put into something else. 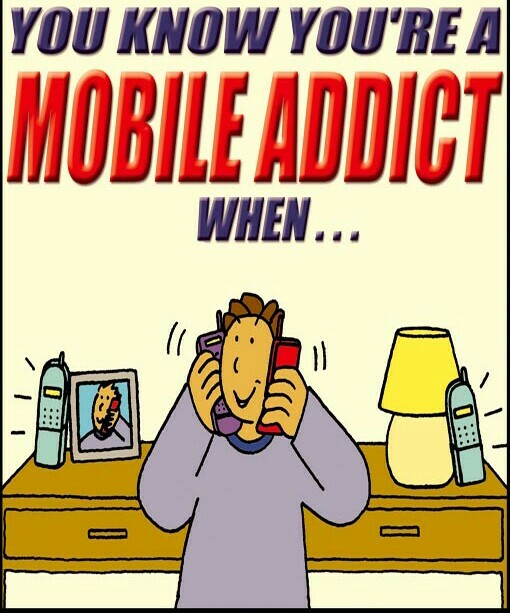 And what addiction in mobile phones have you noticed? The most annoying is watching someone ping right inside the Church! Exactly, I am staring at one now! Lol... 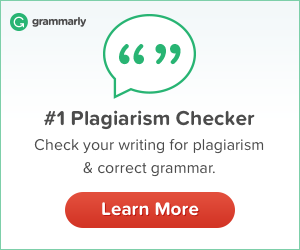 Specially made for you! I am addicted to anything that looks like a phone.. Seriously , I agree with that picture. 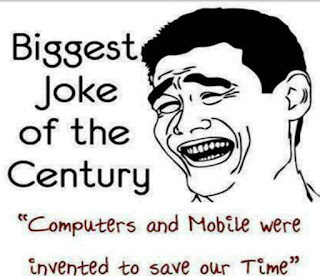 Mobile phone is not here to save time ,, it consumes time instead! I want our fax machine, antenna telephones and letter writing back! Lol.. I am not sure About that! mobile phone is really an addiction!